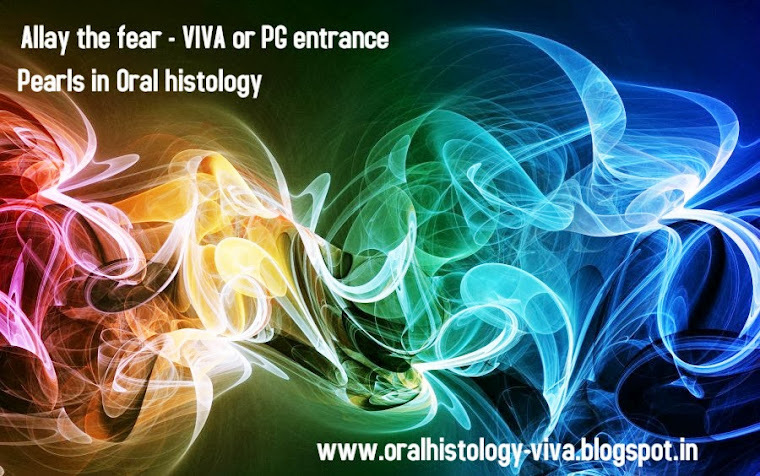 A single stop for all basic viva questions that you might encounter in your oral histology paper in your Dental undergraduate course. If you have questions to suggest/add, kindly mail it to me at oralpathology.viva@gmail.com. You will be acknowledged. 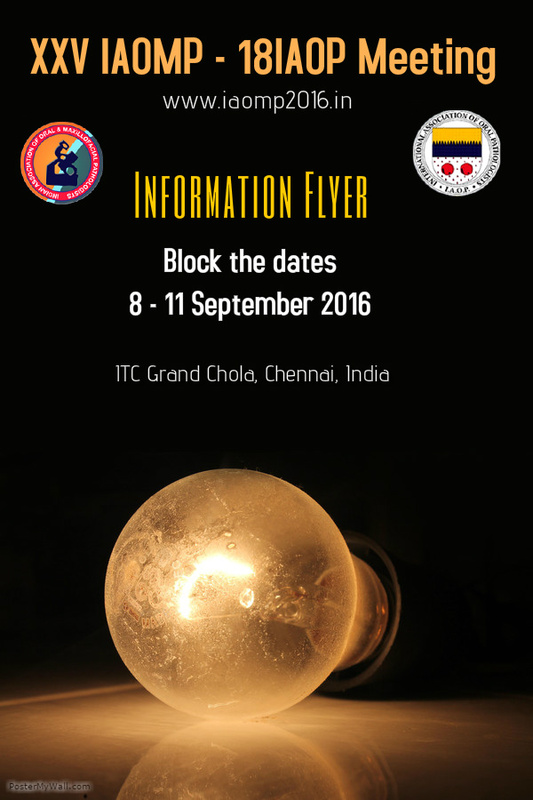 Circulate the links widely..
Reference from standard textbooks. Should you have any doubts, please mail me back. All efforts has been taken to provide accurate answer. The blog/Admin/ are not liable for any inadvertent errors. Kindly do not copy the contents and reuse for commercial purpose. Kindly do not re-post without due acknowledgement and preferably refine from reposting. Ans: Is a Odontoblastic fluid - a modified version of transudate. This is tricky. Unless the system - blood, sugar, plaque is mentioned, answer may be incorrect. (Main function) pls tell ....clerify ? Q- proprioceptive receptor present in dental pulp ? 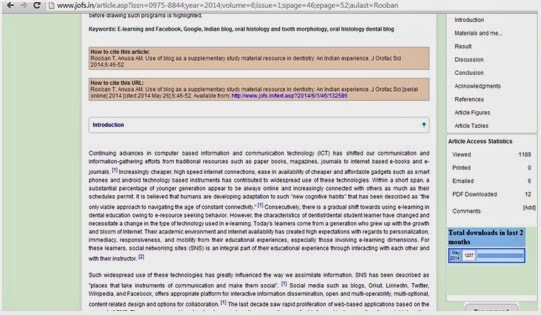 Objective: Social networking sites (SNS) are emerging as an alternate teaching resource. 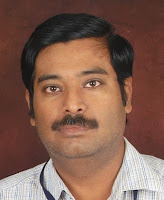 The reach and access characteristics of SNS for a noninstitutional, academic blog in an Indian setting has not been documented and this manuscript aim to address this lacunae.Materials and Methods: A blog for oral histology, an integral basic dental subject and its Facebook promotional page was created. The access characteristics were observed using Google analytics. The Facebook promotional pages of the blog access characteristics are presented. Results: A total of 582 people visited the blog during the study period. Majority of them used Google Chrome from desktop/laptop to access the blog. There were 2723 page visits in all. Visitors from 36 countries and 99 cities across the globe accessed the blog. In all through Facebook, the promotional page reached 36,543 people. The total number of people engaged through Facebook promotion page was 10,757. Conclusion: Access characteristics of the noninstitutional, academic blog have been described for the first time in dentistry. The lessons learnt through this exercise would be helpful in designing e-mentoring courses as well promotional pages of such events in the future. The necessity of making the mentors and students to adapt to e-learning and digital learning resources before drawing such programs is highlighted. Mandibular canine. The inclination is 0 degrees and maximum inclination is seen with maxillary canine and about 17 degrees. Similarly the minimum faciolingual inclination is about 5 degrees with maxillary first premolar and 28 degrees in maxillary central incisors. A phasic jaw-closing reflex is often evoked by a tap to __________ and denotes _____________. Author(s) cannot assume responsibility for accuracy of answers. Powered by Blogger.